Maybe something like this is good? Did you actually present this video without "breaking it down" and describing to the IFERS members what it represents? Let me be the first to point out your gross negligence and inability to comprehended what you read. at 2:30 of the video we are asked to look at Table 21.1 (Average chemical composition of rainwater) from a book dated 1971. Data shows pH 5.7 average rainwater. at 2:45 of the video we are asked to look at another book, dated 2006, page 48 "The pH of unpolluted rain water 5.7". On this same page it gives a "pH of 4.0 or below" for industrial areas due to HIGHER concentrations of acidic gases and HCI. Based on what the video tells me there's been no Chem-trails affecting rainwater pH, from 1971 thru 2006.
at 3:10 of the video we are told that video creator tested the pH of her rainwater from Whangarei, Northland on 19th, 20th February 2014, and found to be 6.7-6.8. Raindrops are normally slightly acidic (the national average is about 6.0) due to the presence of carbon dioxide, which is an acidic gas. Johnson says our June and August rainfall is most acidic, pH about 4.65, possibly because of farm spraying of fertilizer and herbicides. At other times during the year it varies from about 4.79 to 5.68. Metal Rich Water is highly acidic. Where is the PROOF for these Chemicals you claim to be raining down on you? Where is your PROOF for the Climate having changed over the last 100 years? Please provide the Source for the Average Temperature over the last 100 years? Schpankme you're getting me to wonder whether 'Chemtrails' and other means of weather modification are really just psychological weapons; like how atomic bombs are little more than weapons of propaganda. We know that the Caballers' major superpower is the ability to lie without shame; and so to convince their enemies that they wield such dominant powers is right up their alley. Meanwhile so much futile research and activism is being baited and aimed at mere decoys. I have no experiential evidence to support global warming in any way. The weather to me seems very similar to what I grew up with; and I'm almost 40. If anything it feels cooler lately. I'm neck deep in snow over here and they're telling me the oceans are heating up. The two (fake climate change and chemtrails) need not be conflated. 4) more trails continue along the samw path as the sun. The end result is the sun is blocked out. I have seen this exact patter dozens of times. I dont care if you think they are contrails. Contrails do not stick around for hours, turn into a haze and expand width wise. Believe what you want sphank me, I am just sharing my own experience. For me it's all about the physical evidence, not how many stories people tell. Im not quite sure I understand you. What wold in your opinion constitute "proof"? I will start water sampling at my house in California and post results for any metals found in rain water. 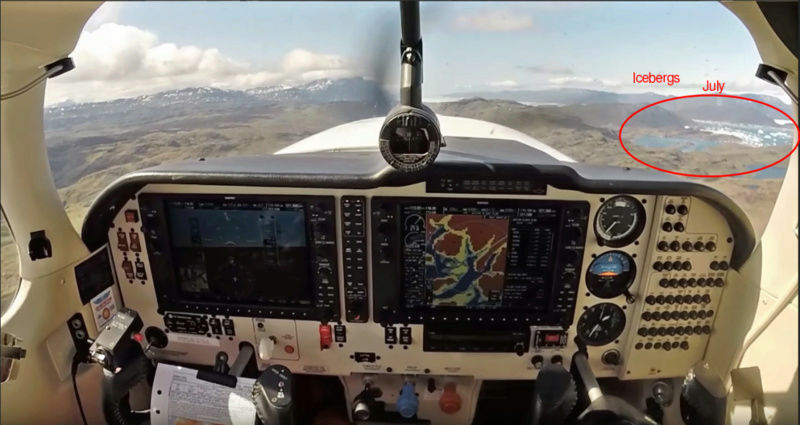 Cloud seeding is the process of spraying salts into the air that will attract water and ultimately form water drops (some claims say this can be done with sawdust or other dry particles that will draw water as well). This alone is known rain modification. The choppy part of this subject for me is that some folks think the operators of this process can purposefully make drops smaller than nature would (with smaller starting particles) and thus a lot of the rain drops don't make it to the ground (they evaporate). The result being that we are paying to force rain in a manor shown capable, on the fear mongering of drought. This process in practice however essentially dries out the air on demand, under the guise of "making rain". I have never been in a cloud seeding plane, so this is all read information. I have a theory, which is not proof by any means. If you are a society that knows the truth, I assume the ones perpetuating the globe lie know everything we don't, then what would be their motive in heating the earth? Most of us know that electric cars have been a feasible mode of transportation since before the gasoline engine was pushed. I know the dome is not proven, but for theoretical sake, let's say it does. If it is like some have stated, a dome that sits on the ice, how would you escape this? This also fits into the no dome theory. Let's say it is just ice and no dome. They may have tried to send people out and the conditions just don't allow it. Possibly they are warming the earth to get the ice to melt them a way out. It is all hypothetical and I do not have proof, just speculating as to why they would pollute something they know we cannot leave and go out in space to another "planet". 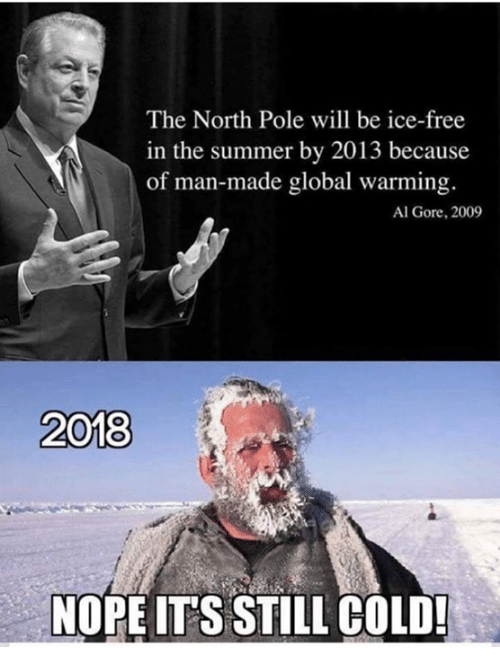 Now that being said, I do not believe they are actually warming the earth. Many scientists have proven it is not warming at the rate they claim. Earth seems to equalize itself in my opinion. I live in a northern climate, and it is just as cold in the winter as it was when I was young. Some winters have been milder, but in general, no real difference. For all I know it is just another cash grab and has nothing to do with the ice in Antarctica. I am just speculating as to what motives they may have in this fossil fuel/pollution scheme. RickFE wrote: I have a theory, which is not proof by any means. If you are a society that knows the truth, I assume the ones perpetuating the globe lie know everything we don't, then what would be their motive in heating the earth? Most of us know that electric cars have been a feasible mode of transportation since before the gasoline engine was pushed. I know the dome is not proven, but for theoretical sake, let's say it does. If it is like some have stated, a dome that sits on the ice, how would you escape this? This also fits into the no dome theory. Let's say it is just ice and no dome. They may have tried to send people out and the conditions just don't allow it. Possibly they are warming the earth to get the ice to melt them a way out. It is all hypothetical and I do not have proof, just speculating as to why they would pollute something they know we cannot leave and go out in space to another "planet". Now that being said, I do not believe they are actually warming the earth. Many scientists have proven it is not warming at the rate they claim. Earth seems to equalize itself in my opinion. I live in a northern climate, and it is just as cold in the winter as it was when I was young. Some winters have been milder, but in general, no real difference. There is no dome or melting further outward. No mass pollution. Air quality is different everywhere for many factors. I think a huge reason is to setup a Carbon Tax, as this is currently being discussed in California. The idea that you should be guilty for burning oil based products, which will allow a tax on top of the crazy fuel prices. (and forced tracking of your usage). They want to keep the abundance based opportunities (free transit/energy) away from the masses , which is easiest with fear of scarcity (breathable air in this example). Lisa states that she started sailing in 2005 and noticed the impact that "man-made climate change" has on our environment. This begs the question: What changes has Lisa witnessed? Lisa named her yacht Climate Action Now. In the News - "Lisa Blair attempted to break the world record for sailing solo around Antarctica, and even after a disastrous demasting is set to be officially recognized as the first woman to circumnavigate the continent." Lets recap: Lisa claims the climate is changing (getting Hotter) and as a result is destroying the Oceans and the wild life that live in and around them; so Lisa buys a million dollar sailboat and claims to have sailed it around Antarctica, where she endured great storms and a demasting for her pleasure. The story has a happy ending as she was able to Motor Sail to Cape Town South Africa where she met and was interviewed, as the season premier, by one of the largest YouTube sailing channels (s/v Delos). How's that for coincidental? solar energy/panels have become a popular way to capture free energy recently. And since all the fake clouds seem to be doing atm, is to block sun light and scare the observing. Fear of a new free energy wuld be a good enugh reason to do this imo. Another reson might be as a preperation of the alien invation, if they put a fake ufo in the sky, they cant have a clear blue sky, they need a hideing place behind the clouds. Or as a projection sheet for the holograms. What has "any of this" got to do with the HOAX that is Climate Change? nothing i gues i was just talking bout the fake clouds he was explaining. i gues youre point is im in the wrong thread? well so that means im right, they are a threat. And makeing them expencive wont kill it. Just saying the only negative effect i se from the "clouding" is on solar panels. Some one els need to delete me i think, it wont let me. In a washingtonpost.com article there appears to be a new New Spin on Climate Change. It seems the "carbon budget" allowing each and everyone human to add carbon to the atmoSphere is larger than perviously measured. This is GREAT NEWS providing that all govern-ments of the world Act Now to provide "Carbon Tax" legislation to keep "each human" from going above their calculated threshold. Please govern-ment, hurry and Tax Me before it's to late. To put that in perspective, that's enough water to cover the state of California to a depth of roughly 14.5 inches. Straddling the California–Nevada border, Tahoe is the sixth largest lake in the United States, an outdoor playground for people around the world, and the main water source for the Reno-Sparks, Nevada, area. The renowned ecological wonder is fed by 63 tributaries that drain 505 square miles known as the Lake Tahoe Watershed. With a vast surface area of 191 square miles, Tahoe requires an immense amount of water to fill, especially because roughly 100 billion gallons of water evaporates annually. Flight from Greenland with Icebergs seen in the Bay, after departing Narsarsuaq Airport, runway 25 (BGBW to CYYR), in the month of July 2016. Narsarsuaq Airport is an airport located in Narsarsuaq, a settlement in the Kujalleq municipality in southern Greenland. After a record season of rainfall and an abundant snowpack thereafter, Folsom Lake is rapidly reaping the benefits. Folsom Lake’s capacity had reached 943,677 acre feet, according to the California Department of Water Resources. The most recent readings show the reservoir just three percent from capacity and 115 percent of the historical average for this period, which was previously recorded at 819,034 acre feet. The total capacity of Folsom Lake is 977,000 acre feet. Apart from the planet talk, this person gave a pretty good insight in the history of this scare scam. You can see the influence this topic has from all kinds of different corners of society... It facilitates the law making (without too much voting), money making and fear which keeps us in check. "the stratospheric polar vortex has shifted from its home above the North Pole"
How to talk to someone who doesn’t believe in Global Warming. Anyone that contradicts "scientific opinion on climate change" the adaptation from global warming. Category 5 Atlantic hurricane is one that is considered by the United States National Hurricane Center (NHC), to have had sustained wind speeds greater than 136 knots (157 mph; 252 km/h; 70 m/s) on the Saffir–Simpson scale. 1500 - Belizean sediment Hurricane is said to have been the largest of all Hurricanes. 1846 - Anemometer invented, a device used for measuring wind speed. However, during major hurricanes, the instrument was often blown away, leaving the hurricane's peak intensity unrecorded. 1851 - Hurricane record keeping begins in the Atlantic basin. 1825 - Santa Ana Hurricane is suspected to have reached Category 5 strength. 1879 - Great Beaufort Hurricane reached Category 5 strength; the anemometer cups were blown away when indicating 120 knots (138 mph; 222 km/h). 1961 - Hurricane Hattie reaching a peak intensity equivalent to that of a Category 5 hurricane. Climate Change -- theoretical scientific consensus -- Ninety-seven percent of "climate scientists" agree, that climate-warming trends over the past century are very likely due to human activities. 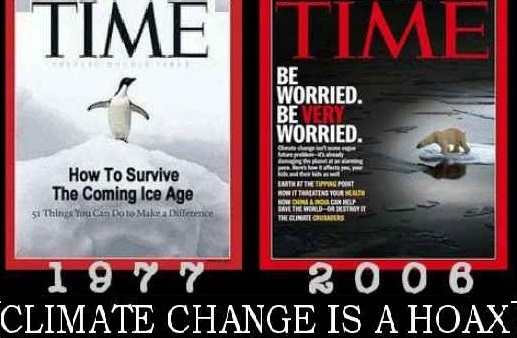 How many "climate scientists" does it take to promote the Climate Change Hoax? NASA says, the climate has changed seven times over the last 650,000 Spaceball years. What caused these climate changes? Spaceball Earth’s orbit, sometimes receives less solar energy from Spaceball Sun. Spaceball Earth and it's orbit did it? Spaceball Earth evolved humans that did it? Spaceball Earth is going into it's eighth ice age, where's my acorn? Carbon taxation puts a price on the CO2 emitted. World Bank Group sets the Carbon Pricing. Governments tax per metric ton based on carbon pricing, and apply it to every Person, Individual, Resident, Citizen, and Corporation that emit CO2. The carbon tax is used to generate revenue for Governments (see Corporations), which can use this revenue stream to support yet another fictitious industry, like the Space Enterprise. Many Governments return its carbon tax revenues to it's "Residents" via income tax cuts. That's right, there is another area on the Taxing Form which asks, How Much CO2 have you emitted (farting need not apply)? Did these "Residents" actually get a tax break? NO, the government moved it from Income Taxation (a Corporate Profit) to Carbon Taxation. In very short order, you will witness the merging of the Fake Space nations with the Carbon Tax nations into one UNited collaboration, together they will forum a One World Central Government and Central World Bank, who's only purpose is to subjugate the people through digital currency; those so called precious metals, you've been asked to stock pile for the last 50 years, will be relegated to use in consumer products. Crypto-currency, such as Bitcoin, is being used right now to work out logistics and support. "a new global political authority"
"the time for seeking global solutions is running out"
"The establishment of a world political Authority"
"conceive of institutions with universal competence"
David Rockefeller famously said that a “global crisis” would have to occur before the people of the world would be willing to accept a New World Order. When the world economy suffered a dramatic crash in 2008, world leaders again proclaimed the need for a New World Order with financial control. You see, many may have conspired and offered opinions on how to force change, but the Vatican will have it their way; after all, they are at the top of the control structure, who wants a unified totalitarian rule, under a One World Government.